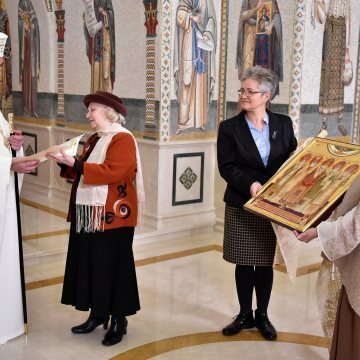 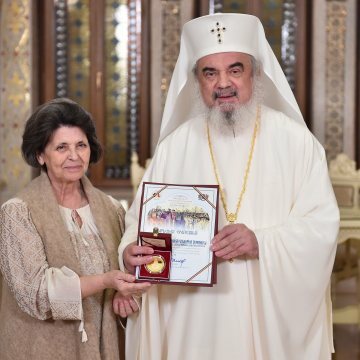 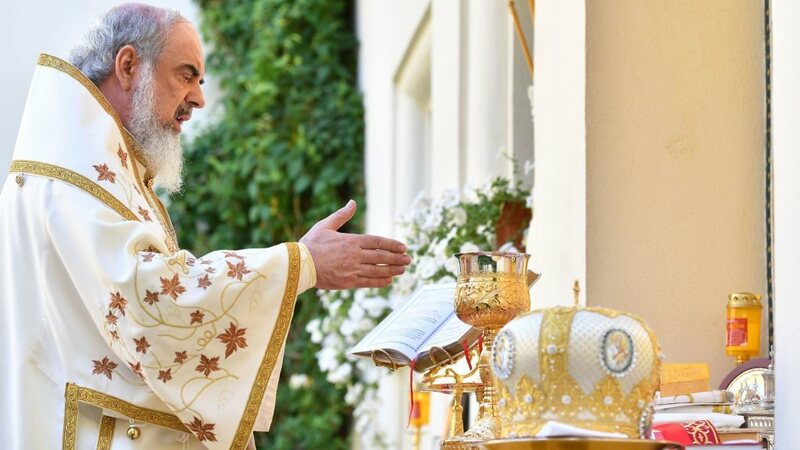 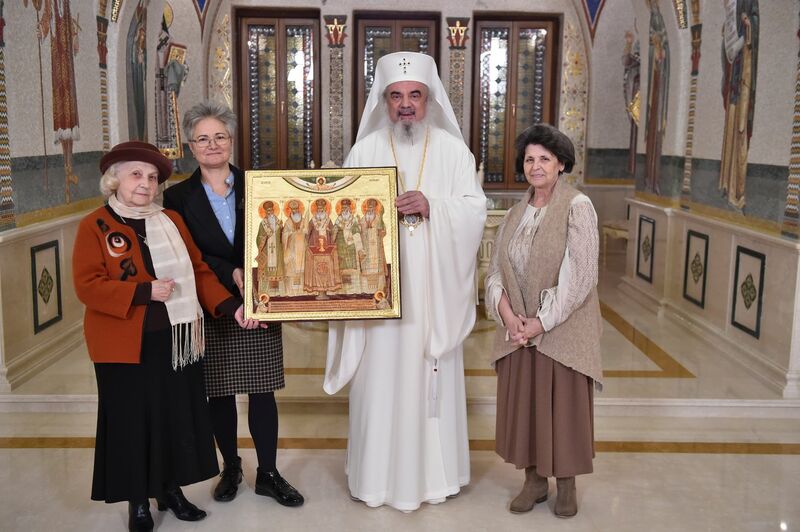 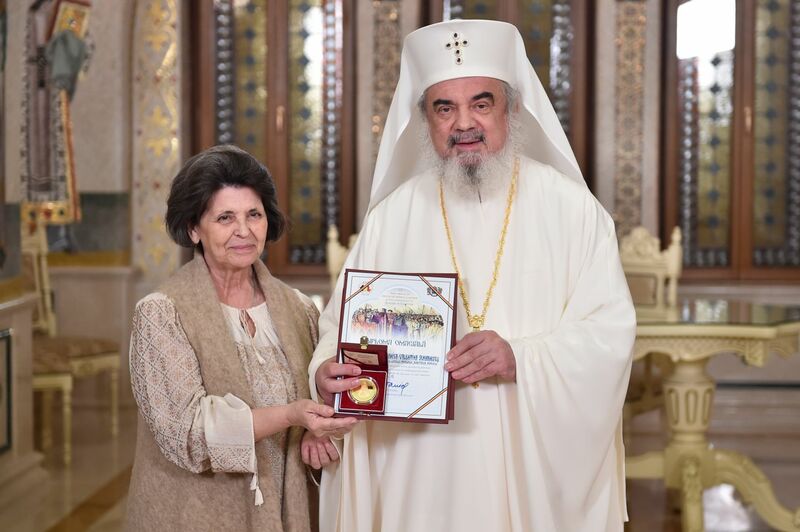 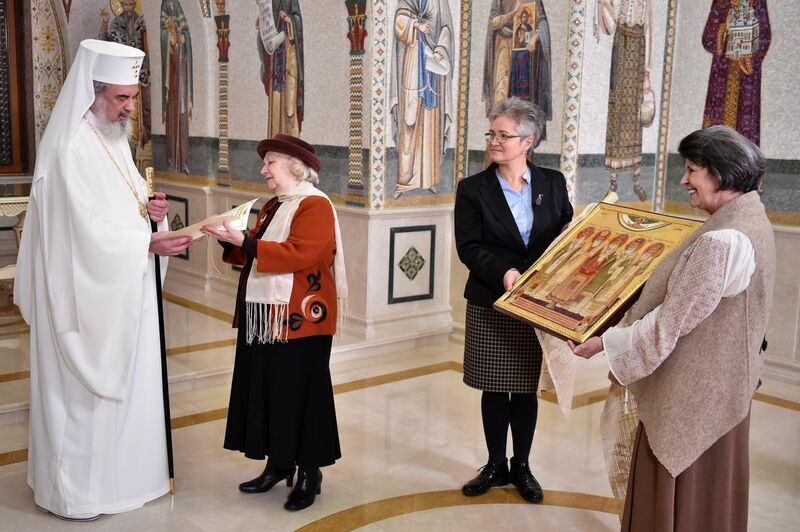 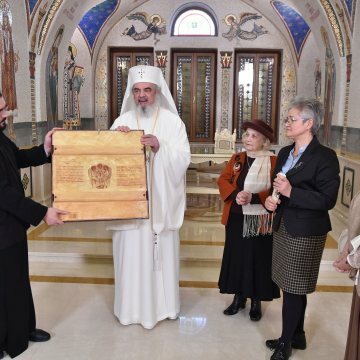 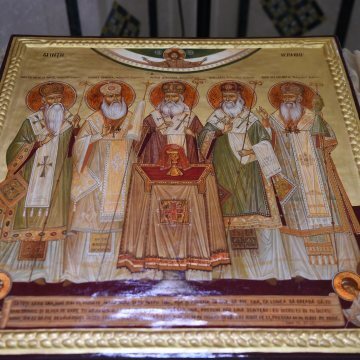 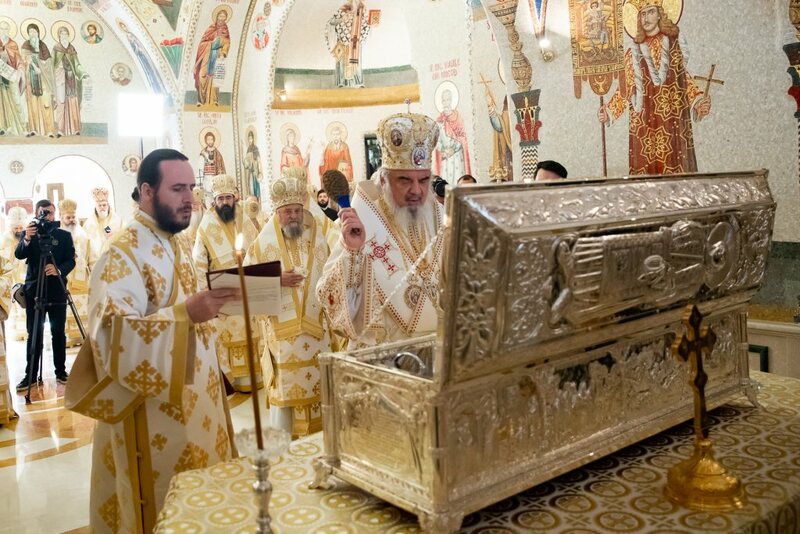 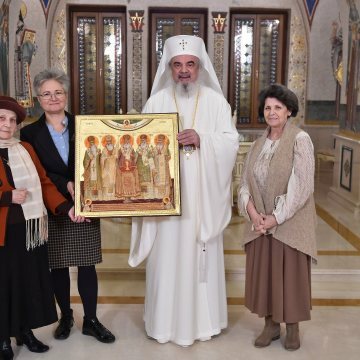 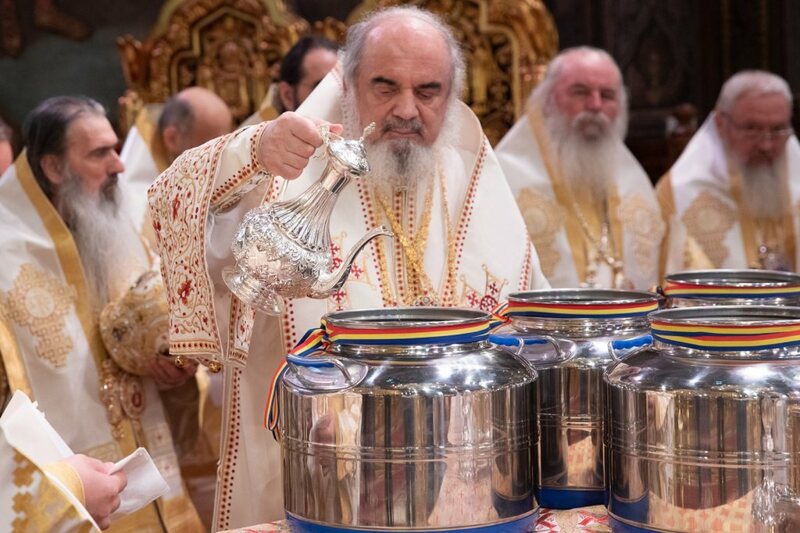 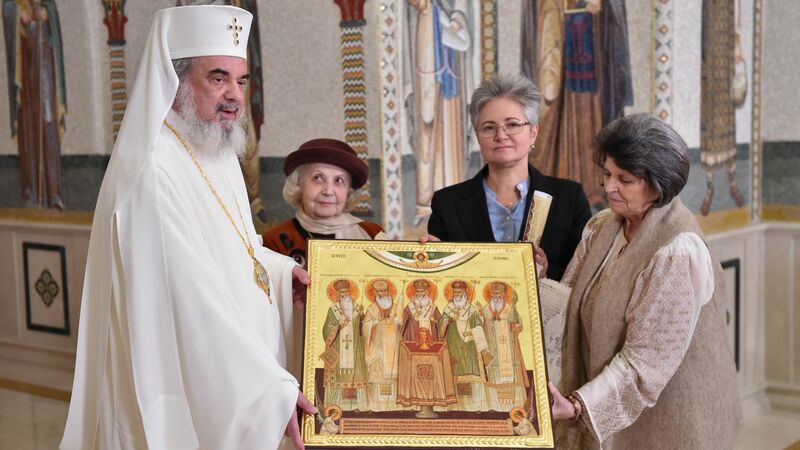 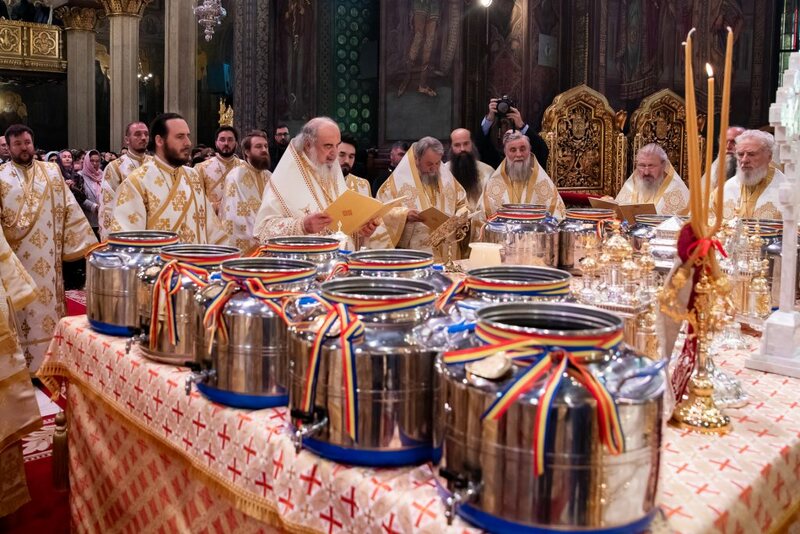 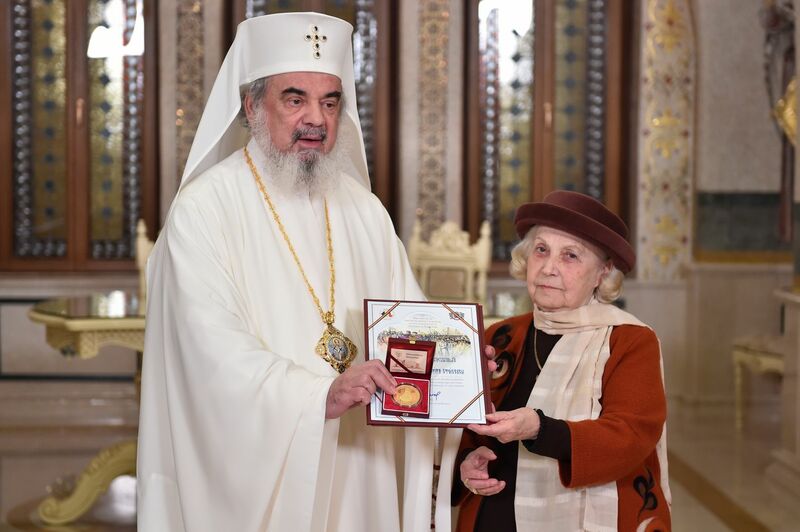 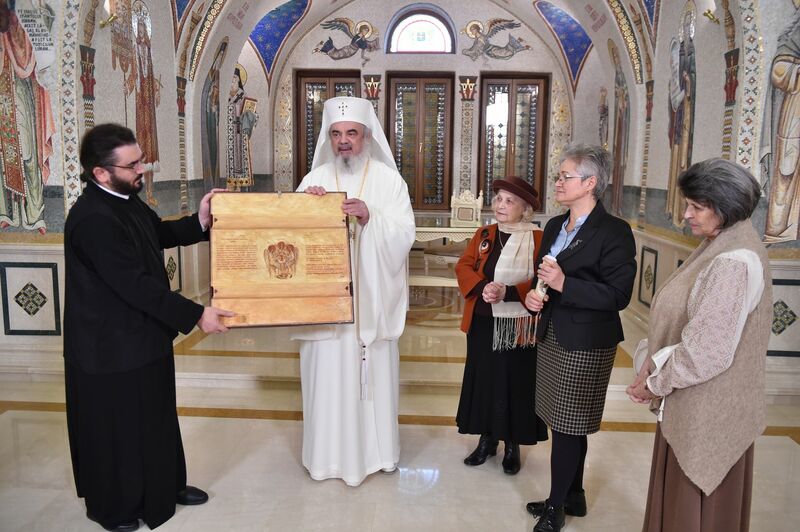 On Tuesday, November 13, His Beatitude Patriarch Daniel was presented with an icon depicting five Holy Hierarchs who contributed to the cultivation of the consciousness of Romanian national unity prior to the 1918 Great Union. 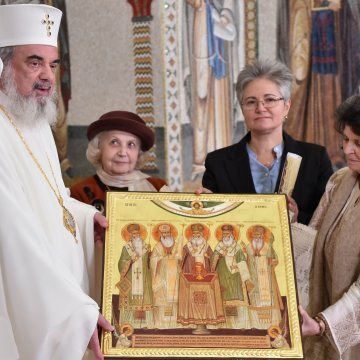 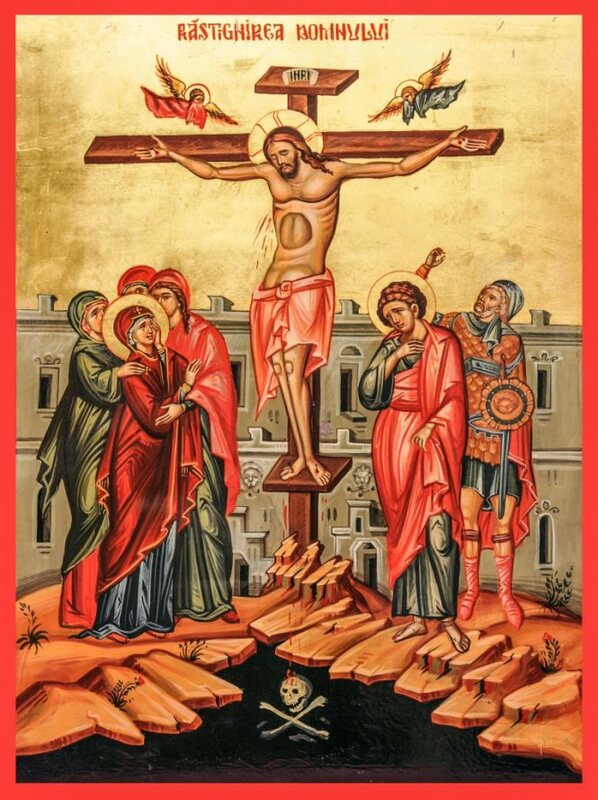 The icon was offered by writer Lidia Popita-Stoicescu, Prof. Mona Serbanescu, director of Anastasia Popescu Highschool in Bucharest, and iconographer Elena Murariu. 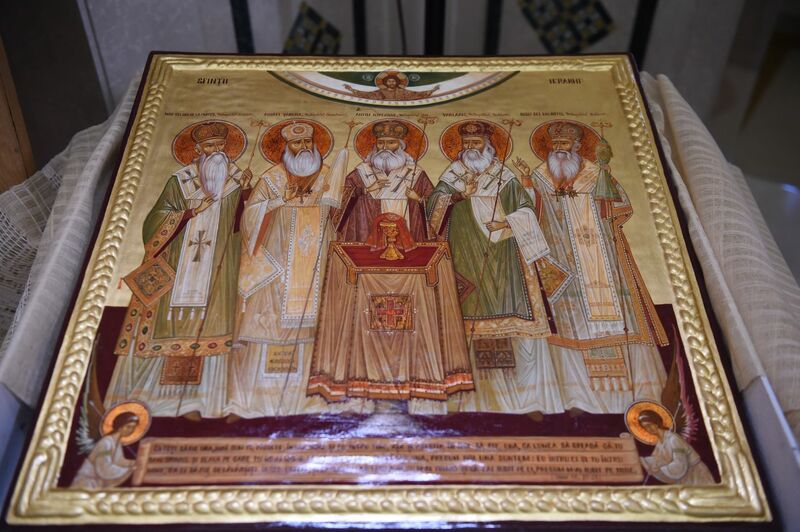 The five hierarchs depicted in the icon include St Joseph the New of Partos, Metropolitan of Banat, Saint Andrew Saguna, Metropolitan of Transylvania, Saint Anthimos the Iberian, Metropolitan of Wallachia, Saints Varlaam and Joseph the Merciful, Metropolitans of Moldavia. 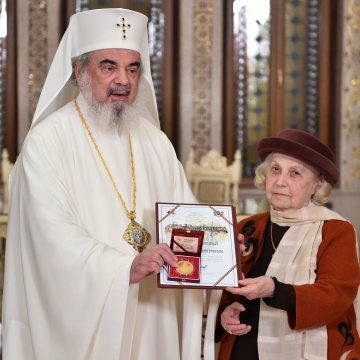 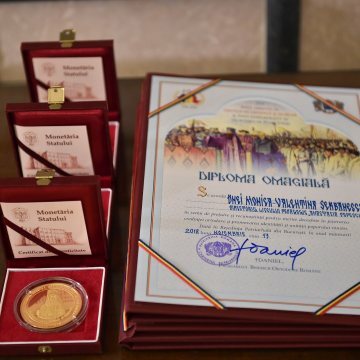 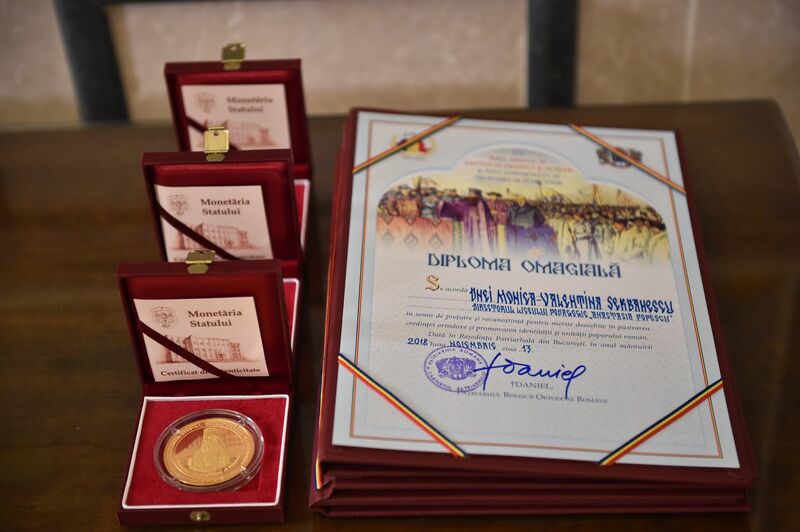 Finally, His Beatitude honoured the three guests with the 2018 Solemn Year diploma and medal.